The Deputy Minister University Champion Initiative strengthens links between the Government of Canada and Canadian universities. The strategy is designed to support robust and relevant public administration education and research so that the federal public service has access to leading ideas and theories, a new generation of public administration scholars, and new employees who are well-educated in modern public management. Appointed by the Clerk of the Privy Council of Canada, UPEI's Deputy Minister University Champion is Lisa Campbell. Ms. Campbell is Associate Deputy Minister, Veterans Affairs Canada. 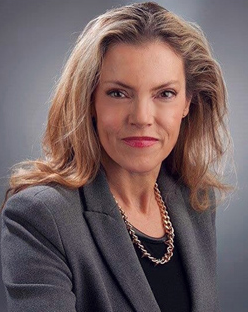 She previously held the position of Assistant Deputy Minister, Defence and Marine Procurement, Public Services and Procurement, leading the organization providing military and marine procurement solutions for Canada. Ms. Campbell has litigation experience in the private and public sectors, in the areas of criminal, employment and constitutional law. She obtained a BA in Political Science from McGill University (1988), an LLB from Dalhousie Law School (1991), and regularly presents and writes about law and technology issues.